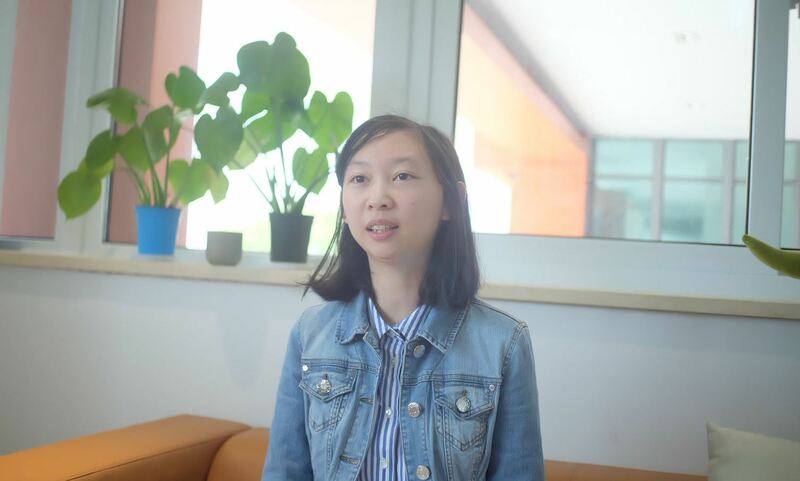 During her three years at the Barstow Ningbo school, Ruoxi studied hard, excelling in over 10 AP courses and earning accolades in science competitions such as a gold medal in the British Biology Olympics and an excellence award in the Euclid Mathematics Competition. 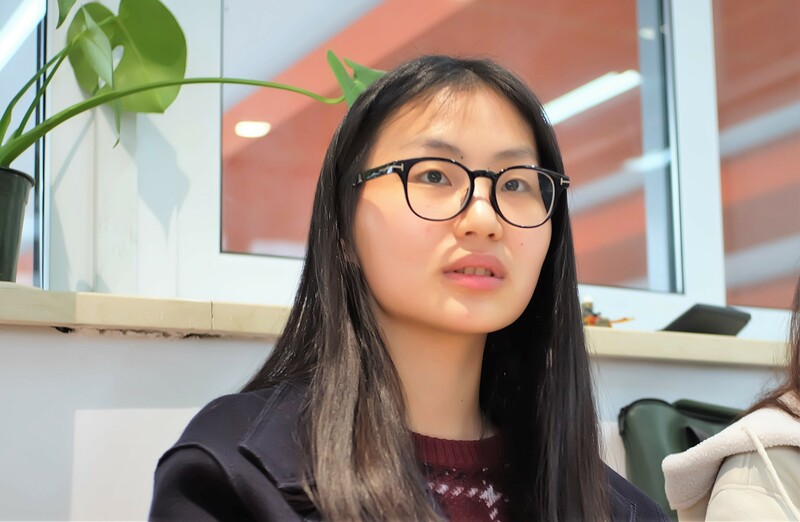 What she has loved most about the curriculum at Ningbo is how interconnected the coursework is. Now, when she learns concepts from different academic disciplines, she has the skill set to explore deeper. 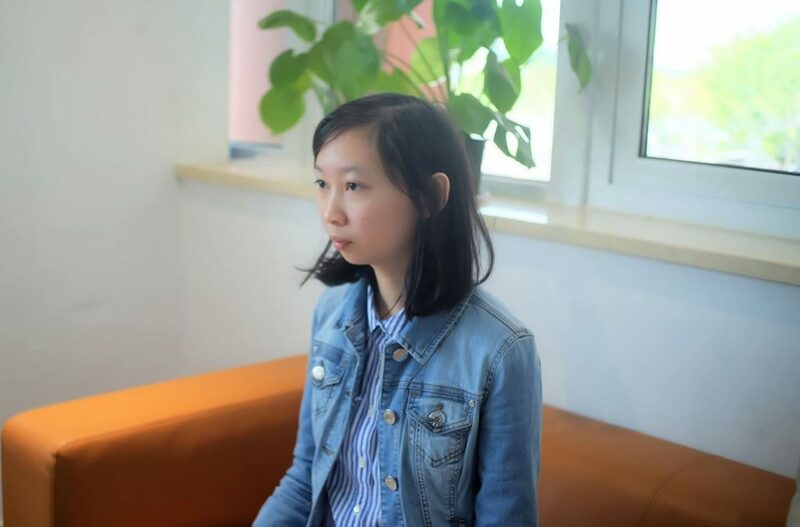 Recently, Ruoxi gained admission to the University of Hong Kong (HKU), a school with a 3% acceptance rate, and she received a full scholarship to cover all tuition and living expenses! We recently sat down with Ruoxi to learn more about her success. I studied at a local international school from 6th – 10th grade, transferring to Barstow Ningbo in 11th grade. 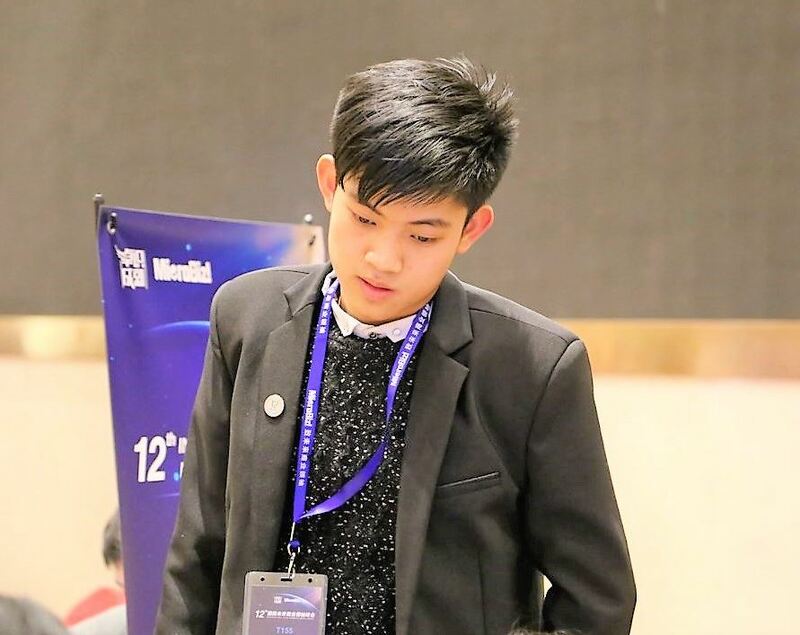 Because the school was larger than my international school, I knew it would help me leave my comfort zone and give me a larger group of students to communicate and collaborate with. I had heard that the school combined American education with Chinese education, merging advantages of both education systems. I have loved the exploratory and open educational atmosphere, with diverse teachers that give students a better learning experience. Can you tell us how you developed your strong interest in science? I took an exciting biology class in junior high where the teacher always gave us interesting examples and stories to help us understand and remember the material better. She was so patient with us, answering our questions and tutoring us in different ways. Everything she did, whether in class or after class, raised my curiosity about science. To further explore this magical world, I spent all of junior high and high school (six years total) comparing scientific concepts to people and crafting stories about them to keep my curiosity alive and trigger my creativity. For example, there is a set of concepts in biology that relates to bone and cartilage tissue structure. I turned the growth of the evolution process into a love story between the two, and I shared this story with my classmates to help them better understand their relationship. Not everything has gone smoothly or successfully though – I have met with some difficulties. Compared to traditional Chinese school students, I definitely lacked key test-taking strategies when I got to Ningbo, and I asked my teachers for advice. Rather than just tell me the exam strategies, as Chinese teachers would, they gradually led me to think about the principles behind the strategies, and to explore different methods. After practicing all semester, I have mastered these strategies and I know how to flexibly use them. How have you managed to maintain such a high GPA while taking 10 AP courses? While AP courses are typically divided into five categories (humanities, social sciences, natural sciences, mathematics, and language), there are connections between them all. For example, mathematics can be applied to statistics and economics as well as physics and chemistry. History can be applied to subjects like humanities and psychology. Language can help you better understand the history and humanities of other countries. Therefore, when you have a comprehensive understanding of all subjects, you can easily apply one to another. One of the most important things to remember is to listen carefully and take notes. AP course teachers often teach material not mentioned in the book but which is almost certainly on the exam. So you have to listen carefully, follow their methods to understand, and take notes at the same time. After class, give yourself enough time to prepare for the exam, doing as many exercises as possible and familiarizing yourself with problem-solving strategies to fully absorb what you’ve learned. In addition, you need to know AP course scoring criteria. One course might give you five points for answering 60% correct, while another might give you five points only when you answer 80% correct. AP exams may seem difficult but sometimes its because you don’t know how it’s scored. What is the most attractive part of science for you? I love how science can be applied to my daily life, and helps me to understand how the world formed. With continuous in-depth study of science every year, I will always have new discoveries. And with science giving me new surprises, I will use them to change the world in the future and help our society make progress. What abilities are you most proud to have? After taking 10 AP courses covering a wide range of areas, I found that I can learn each of them well because I discovered the correlation between them. So I am proud of my inter-disciplinary study abilities. Secondly, my independent study skills greatly improved. Because teaching cannot cover all the knowledge points, and teachers might not have enough time to answer all of your questions, you must make a study schedule, research information on your own, and be able to summarize points, all of which require a strong self-learner with independent study skills. Lastly, time management is a vital skill. I put all my deliverables into a timeline, then I check it after each accomplishment. If anything has changed, I modify and reprioritize. For instance, when I had standardized tests, AP course exams, and final exams to take, I wrote down when each started and by when I needed to be prepared, and then I set a goal for each. Do you have any suggestion to students who are uncertain about what interests to pursue? I think for most of us, it is normal that we don’t yet know what we are interested in pursuing. We are only high school students after all. My suggestion is to try as many things as you want, find one to explore deeper, stick with it to see if it is what you had imagined, and then determine whether or not to continue with it. For me, I did a lot of research and chose courses to learn based on what I had read. I realized that I loved science because I found myself more and more interested in the subject as time went by, and because I enjoy the process of exploration. Remember, there is still a lot of time to discover what you really like or are good at. Identifying what truly interests you will help when you need to make choices in the future. You may not be completely clear on what you want to do, but you will know exactly what you do not want to do!